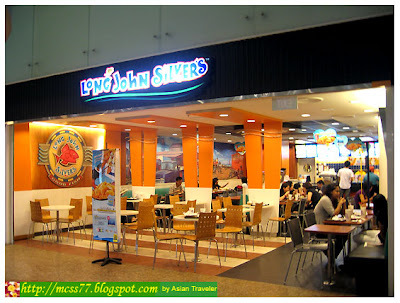 Afterwards, we had lunch at Long John Silvers, a United States-based fastfood restaurant that specializes in seafood and fish and chips. It is named after the fictional pirate Long John Silver from the Robert Louis Stevenson book Treasure Island. 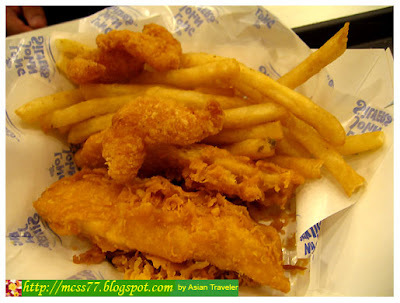 The restaurant also serve chicken dishes in a variety of styles - fried batter fillets, grilled and wraps. 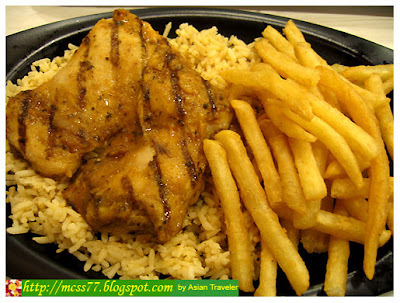 So, we opted for Hot Grilled Entry 2 with grilled cajun chicken on rice with 1 side dish (S$5), and Classic Batter Dipped Combo 1, which consists of 2 chicken & fries with softdrink (S$ 3.90). Both were just okay though. As soon as we gobbled down our food to have enough energy, we immediately went to Mustafa Centre.